Cedar trees grow naturally in many parts of the country and have specific soil needs to grow. 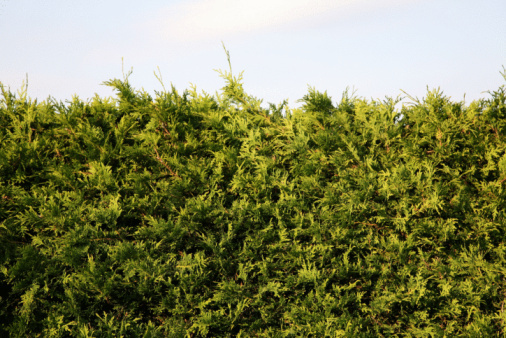 These towering evergreens make impressive additions to your yard and landscape. In some cases, little else grows beneath the towering canopies as the falling leaves can affect the pH of soil under cedar trees. Learning about the different soil requirements for the different cedar trees can help you decide what to plant beneath the trees. 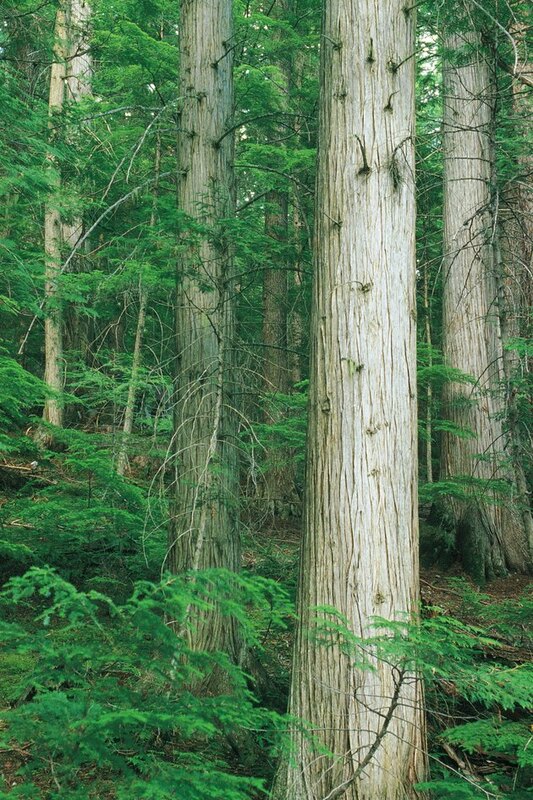 Natural cedar trees grow tall with foliage that affects the soil beneath. There are several varieties of cedar trees. Some prefer acidic soils and some prefer alkaline soils. The Cedrus atlantica, "atlas cedar," is an evergreen that grows at a slow to average rate in acidic, well-draining soils. The Cedrus libani, "cedar of Lebanon," is a cold, hardy evergreen tree that produces needles in dry, alkaline soil. The Cedrus deodara, "deodar cedar," is a needled evergreen that grows well in acidic or alkaline soils that drain well. The Juniperus virginiana, "Eastern red cedar," is a needled evergreen that can thrive in an alkaline or acidic soil. The Thuja occidentalis, "Northern white cedar," is an evergreen that needs moist alkaline soils to flourish. The Thuja plicata, "Western red cedar," evergreen enjoys a lightly acidic to alkaline soil to grow. Plants with similar soil and nutrient requirements can thrive beneath cedar trees. While many plants will not grow in the acidic soil beneath cedar trees, plants such as blueberries and rhododendrons tend to thrive there. 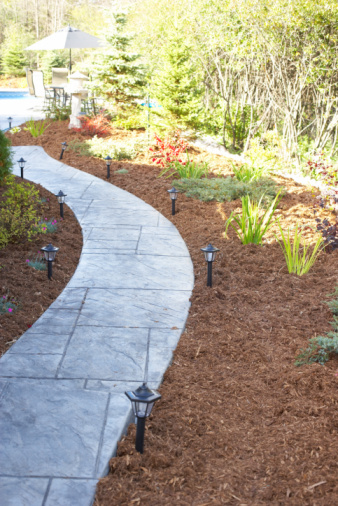 Hostas have the same soil requirements as some cedar trees, that being slightly acidic to slightly alkaline, with a soil pH of 6.5 to 7.5. The foliage of the Eastern Red Cedar contains amounts of calcium that can neutralize the pH of the soil beneath the trees. You can adjust the pH level in soils by adding compost, lime or sulfur. Earth Easy recommends having the pH in the soil tested before you take steps to amend the level.